May 16. Vibrant Barcelona. People, food, Gaudi. The last stop on this trip. Antonio Gaudi was a remarkable man. 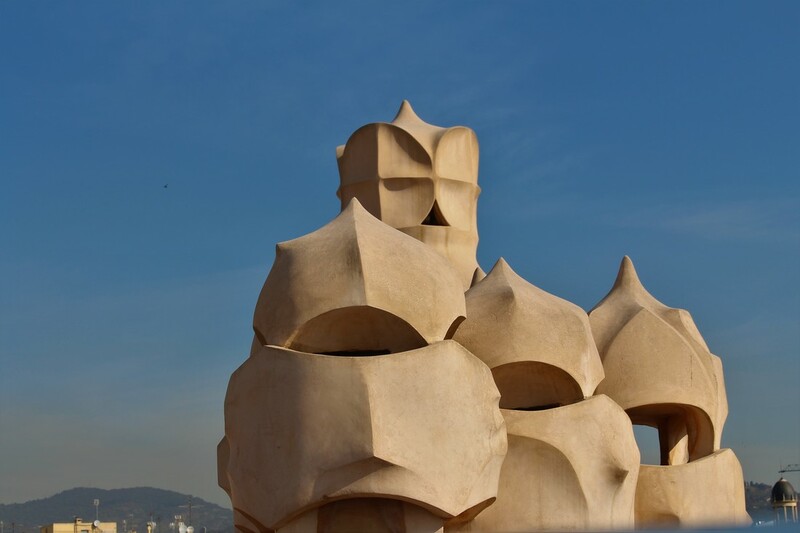 He certainly influenced Barcelona's architectural scene. Some like his work; others do not. Nonetheless, it is impressive and stunning. I think some might call it gaudy. "Nothing is invented, for it is written in Nature first." His cathedral is evidence of his strong believe that straight lines were made by men, but curves were made by God. Strongly spiritual, he believed nature is evidence of God's existence, and he incorporated the natural world of God's creation in all of his work. Bull Fighting is still a national pastime in Spain. 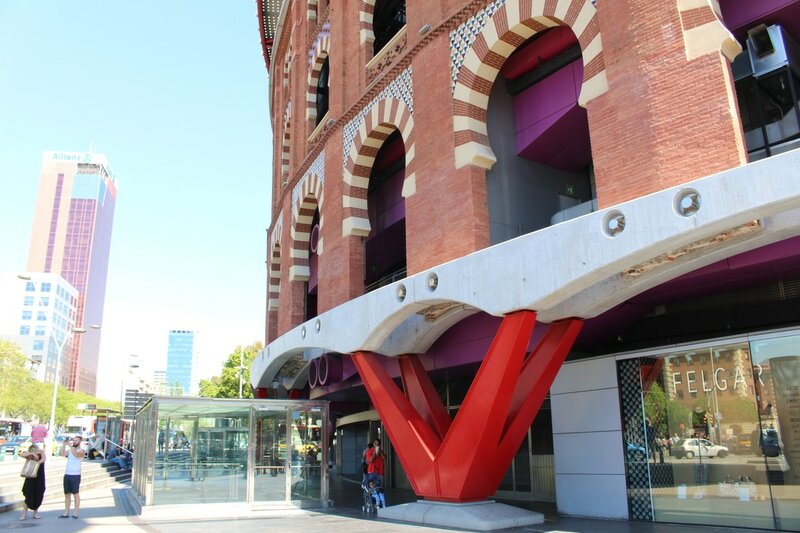 In this case, Barcelona has turned it's ring into a mall. There seems to be a contest for the most expensive and novel way to build. Instead of just cleaning up the bull ring and adding some fresh paint, they lifted the whole structure and put it on top of these red foundations. Oh, and the background buildings are real, not photo shopped. George Lucas and Steven Spielberg were inspired by Gaudi's structures and it is easy to see storm troopers in these sculptures. Another George, an Englishman,, who went by the name of Orwell, fought in the Spanish Civil War. I hoped I'd better understand this strange war. Star Wars had a good guy and a bad guy. Spain had many competing ideologies. Franco, the victor, died in the 'sixties, but his name is still on the lips of the Spanish. The Spanish Civil war left few physical scars on the people of Spain, but the scars on their hearts still exist.